Each order includes Loop, sun clips, battery case, cleaning cloth, wall plug and a 3 ft. USB-C cable. Round - Exclusive Style. Coming Soon. Tortoise - Limited Edition Finish. Gray Fade - Limited Edition Finish. Focals can be purchased exclusively at North Showrooms following a custom sizing appointment. Refunds, minus a restocking fee, are available within 30-days from the day you ordered Focals. Focals are custom crafted to fit you perfectly. However if there’s ever an issue we’ll make it right. We’re here to help. Get in touch with the North Customer Care team at support@bynorth.com. Where are North Showrooms located? North Showrooms are now open in Brooklyn and Toronto, with Pop-up Showrooms opening across the country. Find us. 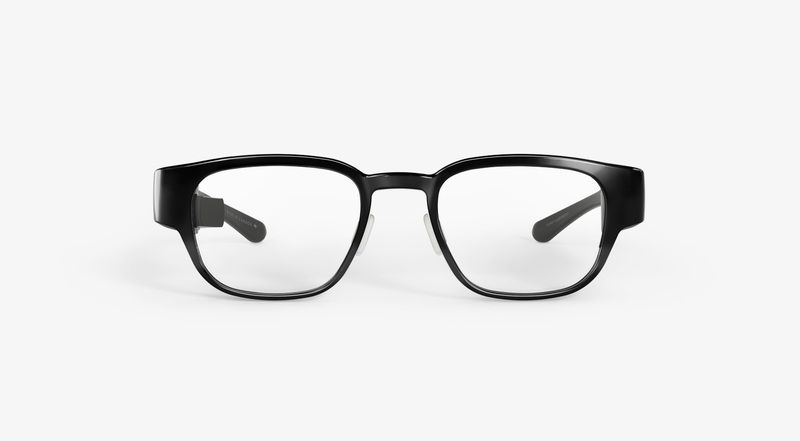 What prescription range does Focals support? Focals are available in prescriptions ranging from -4.00 to +2.00 SPH and 0 to -2.00 CYL. Prescription lenses are available now. Can I wear contacts with Focals? Yes, you can wear contacts with Focals. For non-prescription Focals you do not need to visit an eye doctor. To order Focals with prescription lenses you will need to have a valid prescription. You may request a refund within 30-days from the day you ordered Focals. The restocking fee will be charged if a refund is requested after your order has started being custom-built. Refund requests can be made by emailing our friendly customer care team at support@bynorth.com. Read the Hardware Terms of Sale for more details. Focals have a 1-year limited warranty from the day you receive the product. Read the Hardware Terms of Sale for more details.